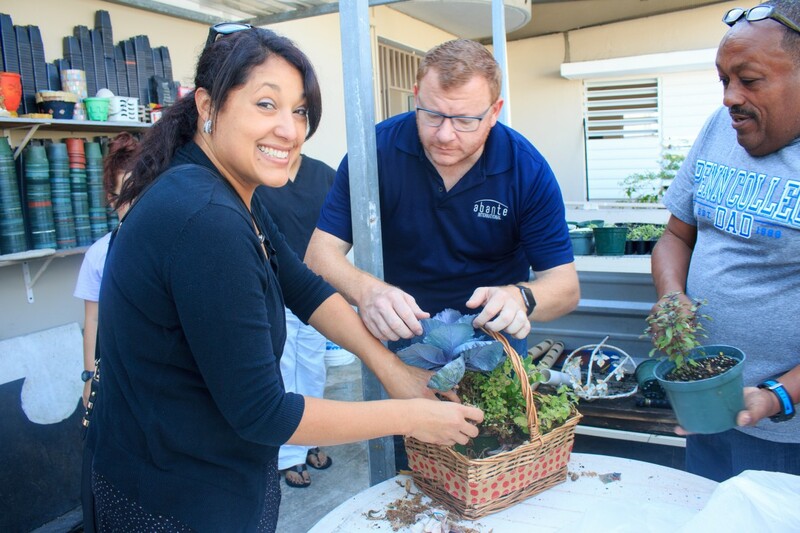 On Nov 24th, the colleagues made their first volunteer visit to La Fondita de Jesus, (http://www.lafonditadejesus.org/) a non-profit organization that works specifically to provide aid to the homeless, and the poor around the metropolitan area of Puerto Rico. La Fondita de Jesus was founded in 1985 by a group of women who, generously donated food and volunteered their time to work with the homeless in the area, even when there was not a shelter available in Puerto Rico that could meet these needs. Thirty years later, about one hundred and forty volunteers labor and serve in several of the programs developed to support the homeless’ recovery and integration into the community. Volunteers are the heart of La Fondita, and they are characterized by their commitment to the mission of the organization, their genuine desire to help the needy, and their labor of selfless love. Of course, the vision of La Fondita resonates with Abante International’s call to train young men and women to learn, live and lead in a global community. Servant Leadership is at the center of each project, or event that the Abante team participates in. Under the direction of Ms. Vanesa Lugo, who coordinates all the volunteers and the schedule for La Fondita, the colleagues were able to serve for over a couple of days a week for over a month, in meal preparation, serving line, clothes dispersion, and organization, as well as work in the green house. These areas of service provided good interaction between the colleagues, the staff, other volunteers, and the participants. Great lessons are learned by simply listening to people’s stories while serving them.